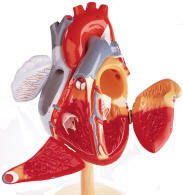 The muscular heart pumps blood out through tubes or vessels, called arteries. 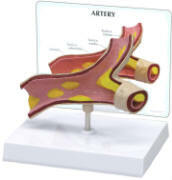 These branch repeatedly into microscopic capillaries that joint to form veins that carry the blood back to heart. 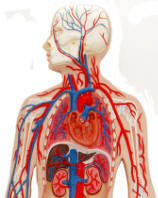 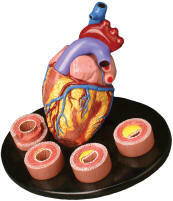 Our anatomical models begin with an overview of the Circulatory System and even include functional models. 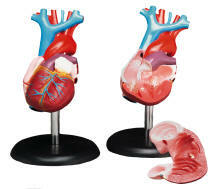 Next comes the arteries that carry the blood. 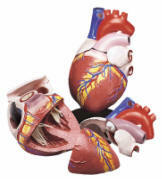 The bulk of the pages are on the Human Heart. 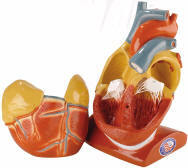 The Starter Hearts vary considerably, ranging from simple ones suitable for elementary education to more advanced models. 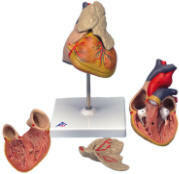 The pages that follow portray increasingly detailed models, including many suitable for advanced medical school education. 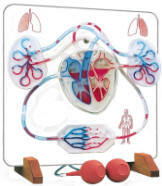 These are suitable for internal medicine and the study of cardiovascular diseases.